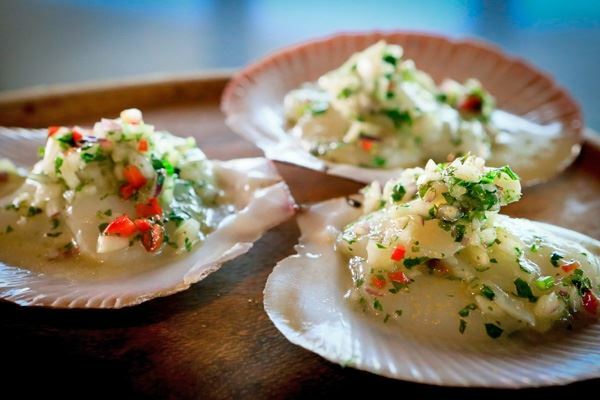 Hervey Bay Scallops: with a choice of citrus cured ceviche, chilli and fennel; tempura with Japanese mayonnaise, or hazelnut butter baked with parsnip puree. Chef's kangaroo saltimbocca with celeriac puree. 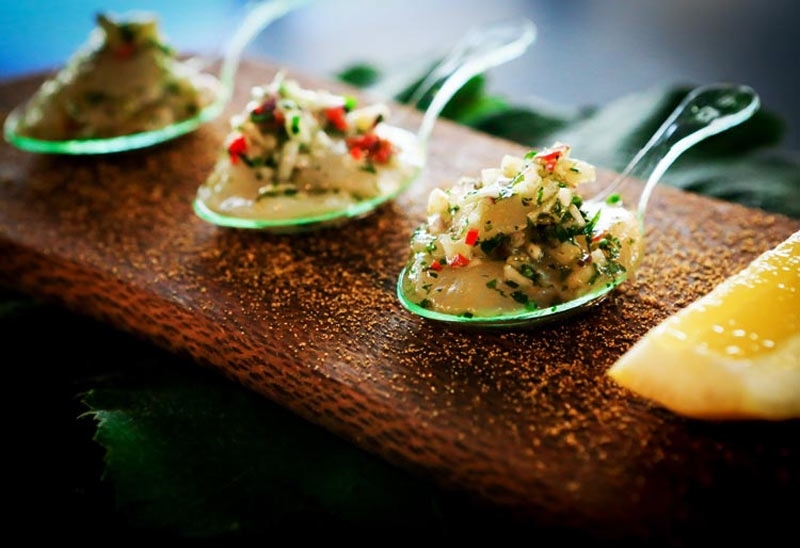 Excite the senses with a leisurely dining experience at The Vinyard Restaurant & Bar, boasting an enviable location along Hervey Bay’s Charlton Esplanade. Book in for a wine tasting on the rooftop, or nab a space on the restaurant’s trendy alfresco terrace, furnished with comfortable outdoor lounges and ocean blue cushions to unwind and soak up a vast ocean horizon. 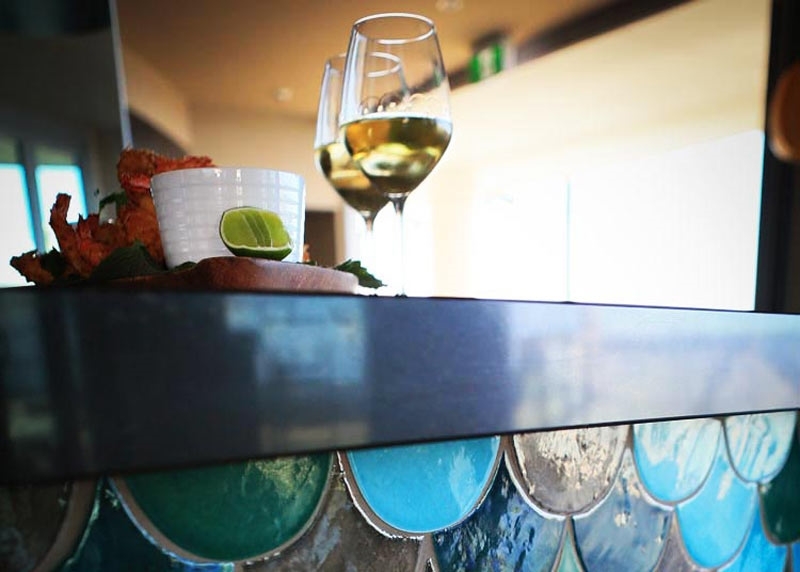 As live musicians create a soul-soothing backing track, take a moment to peruse a menu specialising in fresh seafood, as well as Modern Australian cuisine, complemented by a careful selection of local and international wines. 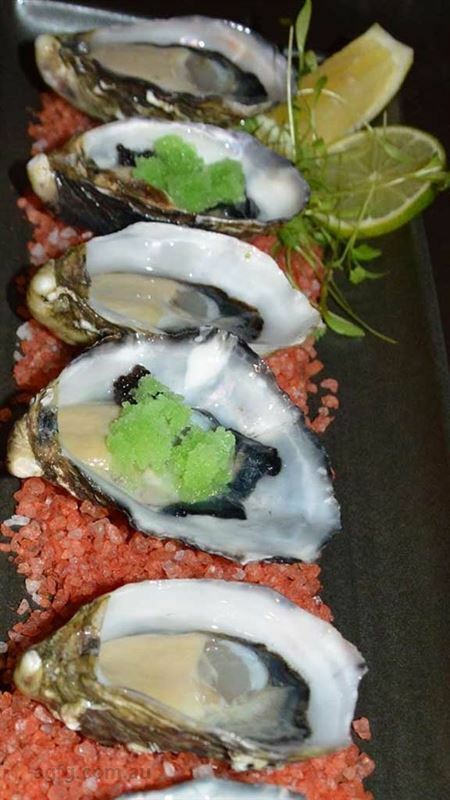 Begin feasting with a platter of Japanese Mirin oysters, before devouring hearty mains such as date, walnut and brie stuffed chicken breast with pan jus, roasted sweet potato and apple salad. 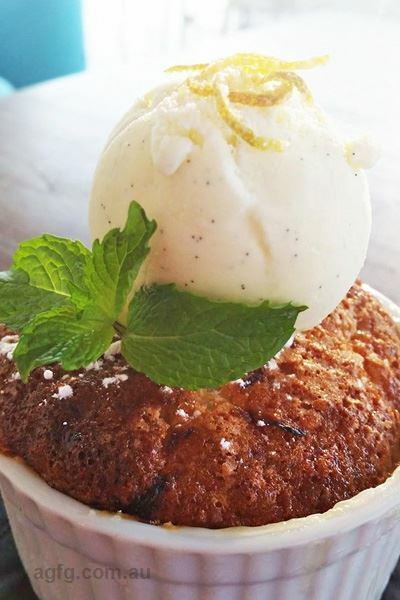 Effortlessly chic and a gourmet's paradise, The Vinyard Restaurant and Wine Bar is Hervey bays destination for a delicately crafted fresh dining experience. 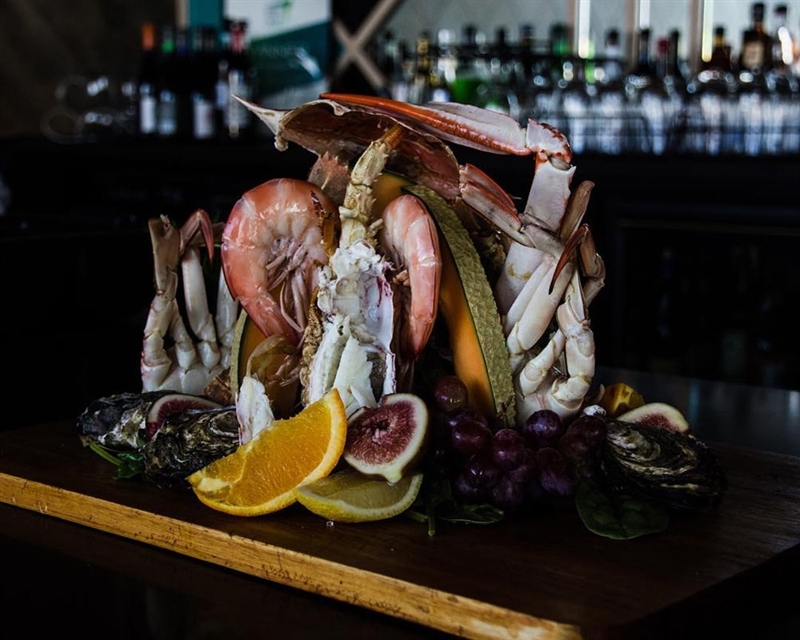 With a spectacular oceanfront location, and a wine list to please even the most dedicated oenophile, The Vinyard offers a relaxed sophistication. 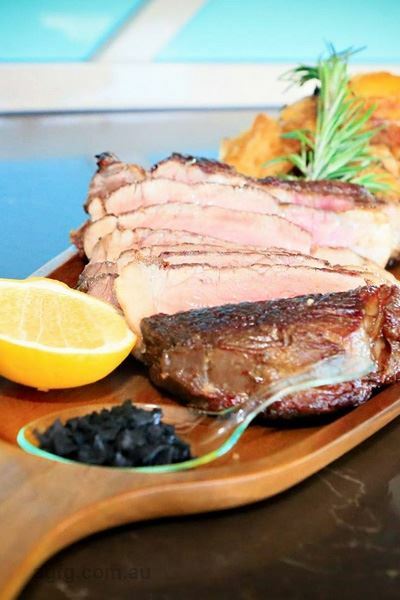 A visit to the Fraser coast would not be complete without a visit to this bustling hub which boasts a huge variety of international wines and a constantly evolving menu of seasonal small bites to share as well as main meals. Why not indulge yourself and make use of the on-site Luxury Accommodation? Aqua Aqua Luxury three-bedroom Penthouses are available for short-term letting and are perfect for family and groups of friends. These unique Penthouses along with the stunning rooftop terrace are also available for hire as private event spaces, fully catered by the professional staff of the Vinyard. 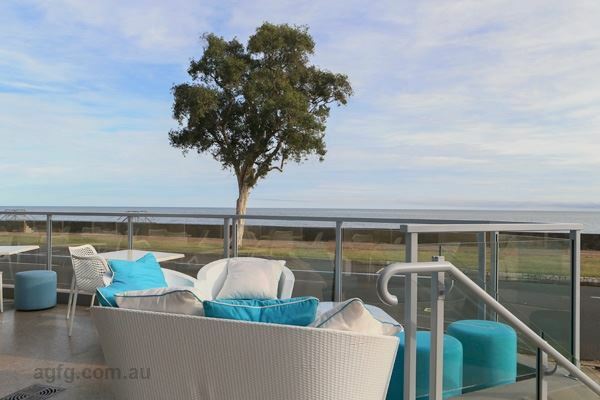 Guests enjoy the use of the private rooftop terrace, capturing the breezes along with the expansive views, complete with infinity pool overlooking Fraser Island, Perfect location for a summer event. 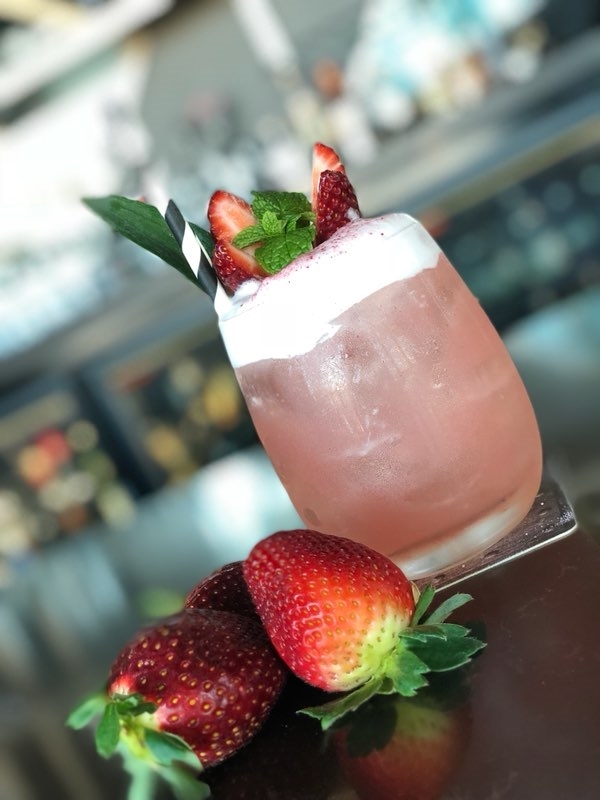 The creation of entrepreneur Mark Blackberry and managed by Emily Rice-Phelut, with a hand picked management, kitchen and service team will ensure every patrons needs are met, and expectations exceeded. The Vinyard and Aqua Aqua Luxury Penthouses have been designed to bring the best things in life together under one roof. I attend this place quite regularly and have never been disappointed. 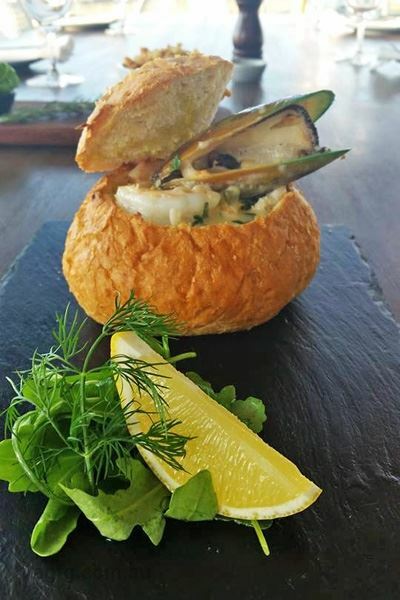 The quality of the food is outstanding and very well presented whilst you enjoy your waterfront view. The staff are very knowledgeable of their products and provide fantastic service with a smile. Seamless service, consistently, and brilliant chef! When highly motivated and talented and well trained team members combine to impress it’s no wonder that this establishment consistently performs at high-bar levels. Every visit exceeds expectations and leaves such memorable moments. So blessed to have this place in our community. My wife and I took my Mum and Dad to the Vinyard for their 60th wedding anniversary on the weekend. The meals and service was excellent .The staff made the experience one to remember. The best place in the bay. Love it. Great food which changes frequently and the Chef and team continue to push the needle and experiment with new creations. Great wine list. Great atmosphere. Fantastic staff clearly with great leadership. Can’t wait to visit again!! I can not speak more highly of this restaurant. After moving from Melbourne at the beginning of the year I thought I would have to leave behind my fine dining appetite, but I was so, so wrong. The Vineyard delivers on every aspect of great dining, with spectacular sea views from the balcony, attentive staff where nothing is too much trouble and glorious food. If I could rate them higher I would! Great views, food, wine, expectional serivce. Does not disappoint! Great food, great staff and great service. Absolutely love dining here, such an amazing, relaxing environment. Great for a night out with friends or dinner with the family. Food is to die for and the staff are incredibly friendly. Highly recommend it to everyone I speak to.